BOSTON, MASSACHUSETTS–I’m in Boston for a day on some College business and had the opportunity to visit the New England Aquarium. Its primary feature, a huge central aquarium with steps surrounding it, is under construction, but there were plenty of other exhibits to enjoy. I thought I’d post some images of organisms my Invertebrate Paleontology students would appreciate. 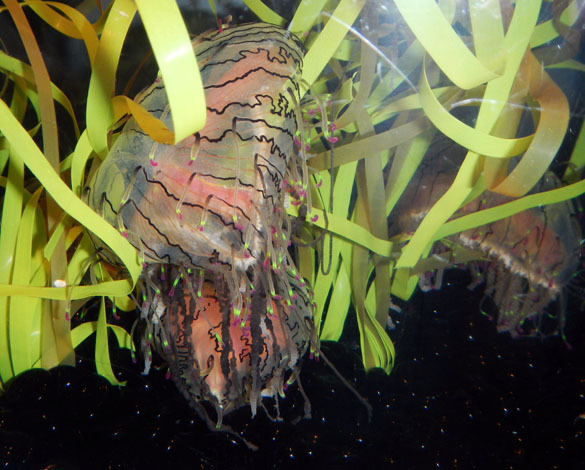 The photo above, for example is of Olindias formosa — the Flower Hat Jelly. Wooster Paleontologists will immediately know it is a member of the Class Scyphozoa, and a pretty one at that. 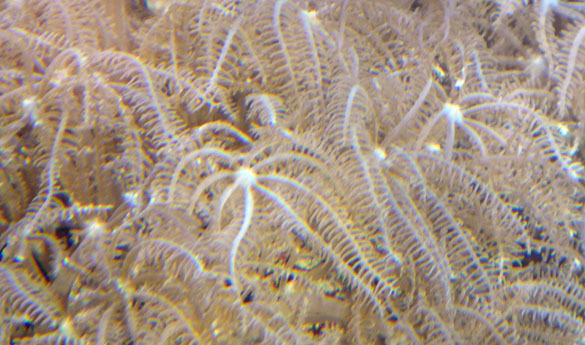 The eight pinnate tentacles on each polyp here show that these are octocorals. 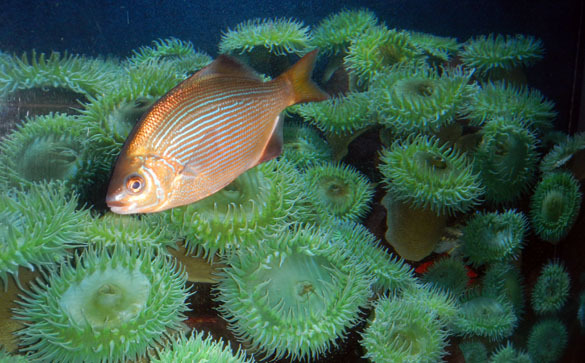 This was supposed to be a nice photo of green sea anemones, but I got photo-bombed by a fish! 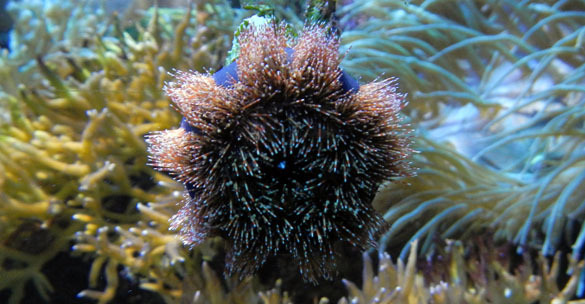 This regular sea urchin is clinging to the glass with its tube feet. You can just make out the white jaws of the Aristotle’s Lantern. 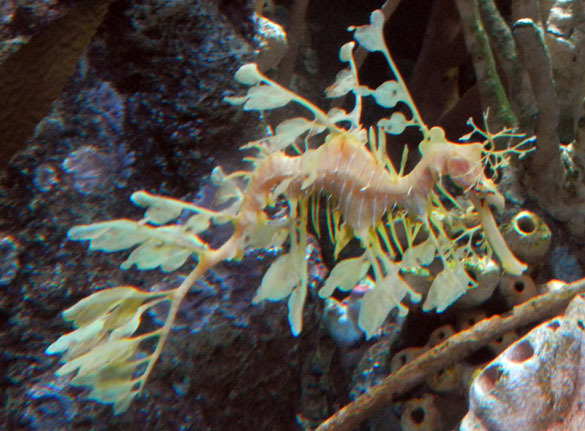 Finally, this seadragon, with its wonderfully elaborate camouflage, has to make the show, even if it is a member of the Subphylum Vertebrata.